Scan one frame of 6x9 film with this 6x9 Flextight Original Holder from Hasselblad. 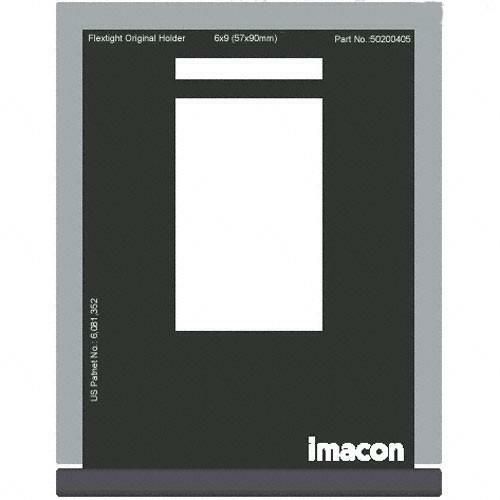 This holder is designed specifically for the Flextight X1 and X5; Flextight Precision and Progression series; and Flextight 646, 848, 949, and 2848 scanners and will work with unmounted transparencies and negatives. Additionally, it has a scan area of 57 x 90 mm.